Money & Medicine premiered September 25, 2012. A third of all health care dollars are spent in the last two years of life. Watch a clip from PBS NewsHour on Money & Medicine. Money & Medicine investigates the dangers the nation faces from runaway health care spending as well as the dangers patients face from over-diagnosis and over-treatment. In addition to illuminating the waste and overtreatment that pervade our medical system, Money & Medicine explores promising ways to reduce health care expenditures and improve the overall quality of medical care. Surgeons at UCLA Medical Center. The Affordable Care Act that the Supreme Court recently upheld extends health care coverage to over 30 million uninsured Americans but actually does very little to make health care affordable. Since 1970, health care spending has grown 9.8% annually, more than twice the rate of inflation. Medical costs now consume 17.3% of our gross domestic product. That’s $8,086 for every American or about twice as much per capita as most developed countries spend. Although we pay more for medical care than any other country, America currently ranks 19th in the world in preventable death, 26th in life expectancy, and 31st in infant mortality. Our more-is-better approach to health care is not only failing to make us healthier, it’s threatening to bankrupt the nation. If medical costs continue to skyrocket, American industry will become increasingly uncompetitive; the government will run up increasing deficits as it struggles to fund Medicare, Medicaid, and the new subsidies that are part of the Affordable Care Act; and millions of Americans will delay or forego necessary care because out-of-pocket medical costs will become unaffordable. The trillion-dollar question is how can we reduce unnecessary medical spending so that we can afford to provide affordable, high quality health care to all Americans? A number of recent studies estimate that a third of all health care expenditures are unnecessary and that eliminating wasteful spending would save over 800 billion dollars a year. Since every dollar of so-called unnecessary spending is a dollar of income to a health care provider, reigning in health care spending is much more easily said than done. However, Money & Medicine adopts a unique approach to addressing this pressing medical, ethical, and financial challenge. The film was shot at two world-renowned hospitals - UCLA Medical Center in Los Angeles and Intermountain Medical Center in Utah. The dramatic doctor/patient stories the film captures at these two hospitals illustrate the powerful forces driving excessive medical care as well as proven strategies that can reduce unnecessary medical spending, such as improving the coordination of patient care, facilitating shared patient decision-making, and practicing evidence-based medicine. 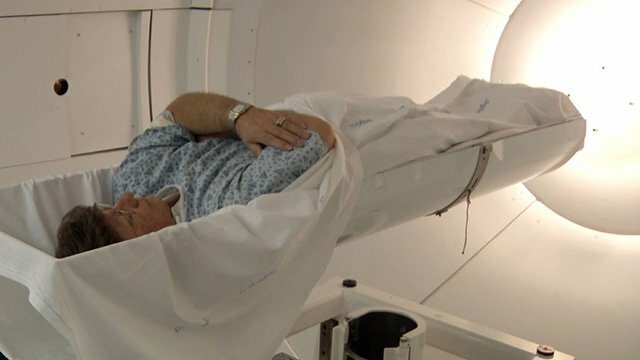 Kurt Thompson receiving proton beam therapy for prostate cancer. At both hospitals, Money & Medicine exposes the painful end-of-life treatment choices made by patients and their families, ranging from very aggressive interventions in the ICU to palliative care at home. 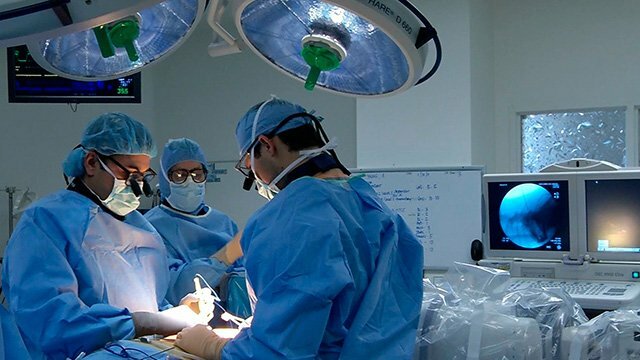 The film also investigates the controversy surrounding diagnostic testing and screening as well as the shocking treatment variations among patients receiving a variety of elective procedures. Beyond the broad policy implications of the film, Money & Medicine may also prompt viewers to alter some of their own behaviors - whether it’s executing an advance directive, thinking twice about that seemingly benign screening test, or learning more about the risks, benefits, and possible outcomes of elective procedures. Ultimately, Money & Medicine puts a human face on the health care cost crisis and makes a timely contribution to the debate over cost containment and deficit reduction that is heating up as we approach the 2012 election. who also produced the film Critical Condition. Visit Need to Know's website to find out more about Money & Medicine. © Public Policy Productions, Inc.